I spoke about the idea of being care free over on my Instagram the other day and shared a photo of my children in the midst of making up dance routines. I do believe I can learn a thing or ten from my kids, to not worry about so many things and to enjoy the simpler things in life. With that said, all the lovely sunshine we've been having, the girls have spent a lot of time out in the garden and I've managed to capture a few action shots of them all of which have made me smile and made me long for my younger years. Great photo. 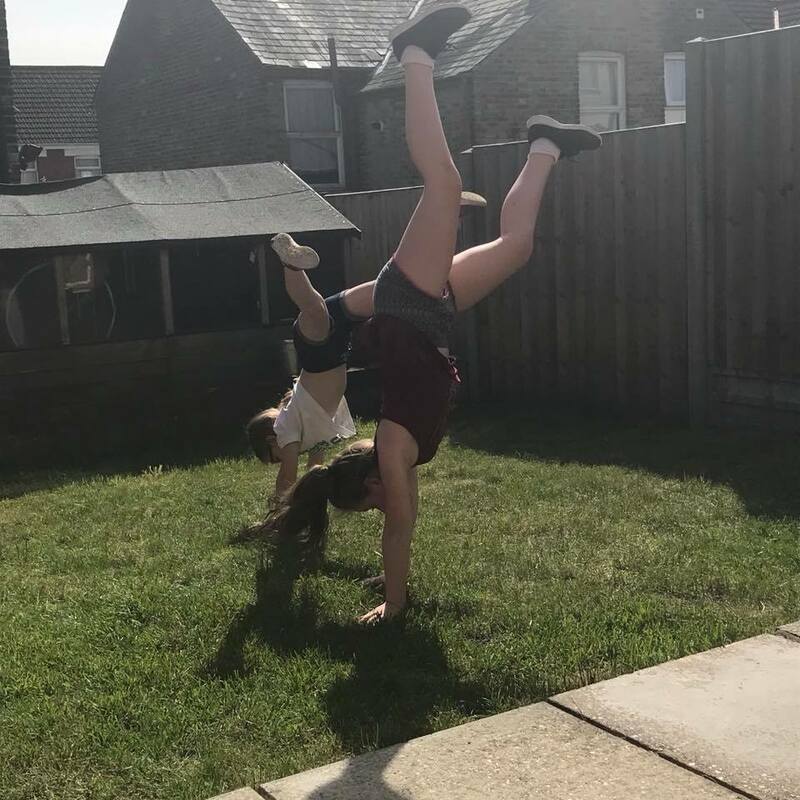 Handstands are a very familiar sight around here, although we only have one child who does them! that is some awesome dance routine with synchronized handstands!